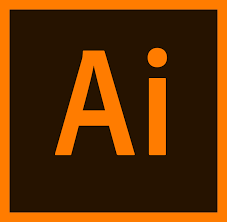 Adobe Illustrator CC is a vector graphics software within the Adobe Creative Cloud. It enables users to create and edit logos, icons, drawings, typography, digital graphics, and other illustrations for all kinds of media, such as print, websites, videos, video games, and mobile. In this article, we cover user reviews and pricing. Ready to try Adobe Illustrator CC? Get a free trial. Users who gave Adobe Illustrator CC a positive review said that it is the leading vector-based design program in the industry. They like its versatile design tools that enable them to create and edit different kinds of graphics, drawings, and illustrations. Users who gave Adobe Illustrator CC a negative review said that the software is not intuitive and that there is a steep learning curve. Several others complained about its expensive pricing plans. Adobe Illustrator CC can be purchased as a single app or part of a plan that includes other Adobe apps. They offer subscription plans for Individuals (starting at $31.49/month) and a Business plan for teams (starting at $33.99/month/license). The main differences between the plans are the team collaboration tools and advanced technical support. *The prepaid annual plans are paid in lump sum at the beginning of the billing cycle. Ready to try Adobe Illustrator CC? Get a free trial. How long does its free trial last? The free trial lasts for seven days and provides users full access to the latest version of Adobe Illustrator CC. Can users get Adobe Illustrator CC without a Creative Cloud membership? No. Adobe Illustrator CC is available only if a user has a Creative Cloud membership. Not sure if Adobe Illustrator CC is the right fit for you? Read our reviews of all top design software providers. It develops up-to-date design software for graphic design professionals and illustrators. Updates sometimes do not offer very many new features, most of the updates move tools around into different spots, making it harder to find. Price plans for individual programs. Adobe Illustrator has been one of my favorite Adobe programs throughout my Graphic Design career. There are plenty of ways to achieve the results I am looking for, whatever the project. I can always count on Illustrator for creating logos, illustrations, and any vectors. A must have for any designer. In the past few years, the snap to points/grid features have been changed. There are far too many things that the guides snap to, making it harder to line things up and take advantage of this feature. I have found ways to turn some of these off, but it still doesn’t work as smoothly as it used to. It is the exact product our company needs for creating professional graphics and forms. We can utilize Adobe Illustrator to create website graphics, other multimedia graphics, forms, ads, etc. The program will sometimes freeze or take quite some time to save a file if the file size is too large. There is nothing I wish I had known before using it. This company is industry standard for a reason. This is a POWERFUL software that allows you to edit vector graphics easily and create logos and designs. I love how easy it is to export files with this software, it cuts down on time in my workflow and makes it easy to deliver products to my clients. This product has a steep learning curve. It can be mastered, but it does take some time. I have found that you can find tutorials on Youtube and Pluralsight to help you with learning this software. I wish I knew about more of the resources for learning the software. When I first tried it, I gave up on it because it was too hard to use, but after I gave it a chance I will never go back. Very innovative and definitely the go-to, leading creative software company. 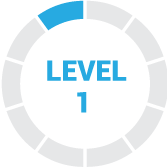 They pride themselves on staying up-to-date with the leading technology and offer great support and tutorials to learn their software. It is very intuitive and user-friendly. I have been using Adobe for 15+ years and I’ve never had a serious complaint. Their software and customer service is top notch.